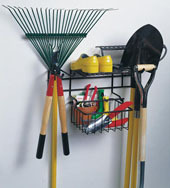 Store lawn and garden tools in one convenient place with the Garden Tool storage rack. 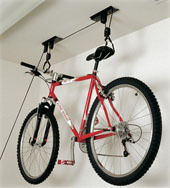 A great place to store your bike without taking up valuable space. 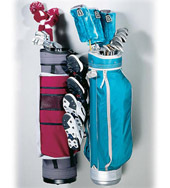 Store two golf bags and two pair of golf shoes in one compact place with the Golf Club Rack. 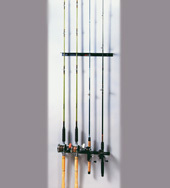 Vertical, horizontal or ceiling rod storage is simple with the Fishing Rod Holder. 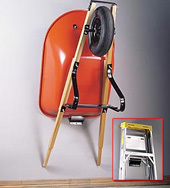 Securely store a wheelbarrow, ladder, lawn furniture, extension cord and other awkward items. 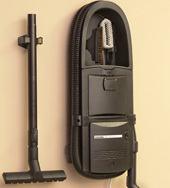 This Hanging Surface Mounted Central Vacuum is designed to hang on the surface of a wall using four screws or Velcro strips.